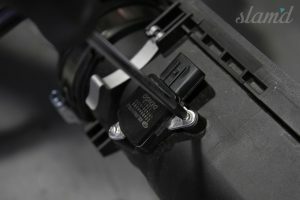 Aggressive, brash, confident – these are the words that sprint to the forefront of one’s mind when releasing the clutch and engaging the throttle of Subaru’s newest WRX. 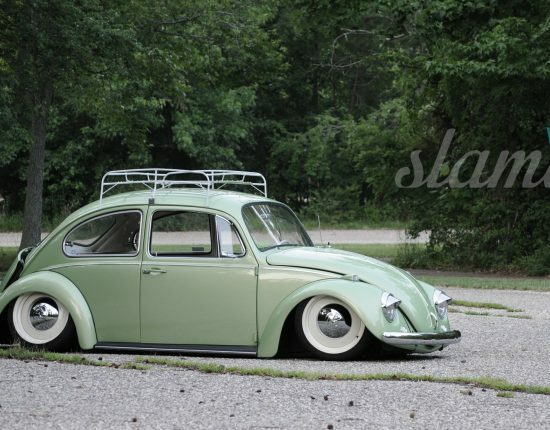 While planted in the iconic import’s cockpit, it’s hard to shake the sense that there is untamed fun to be had, at any given moment. 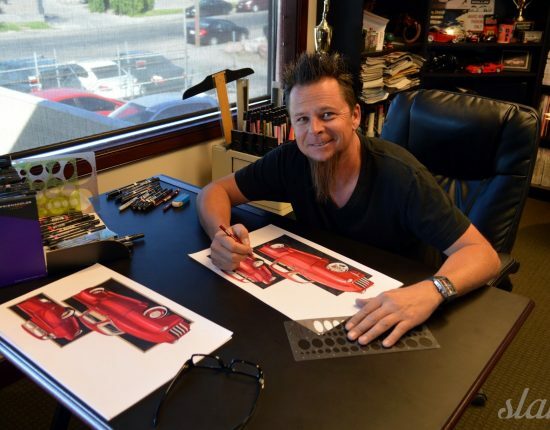 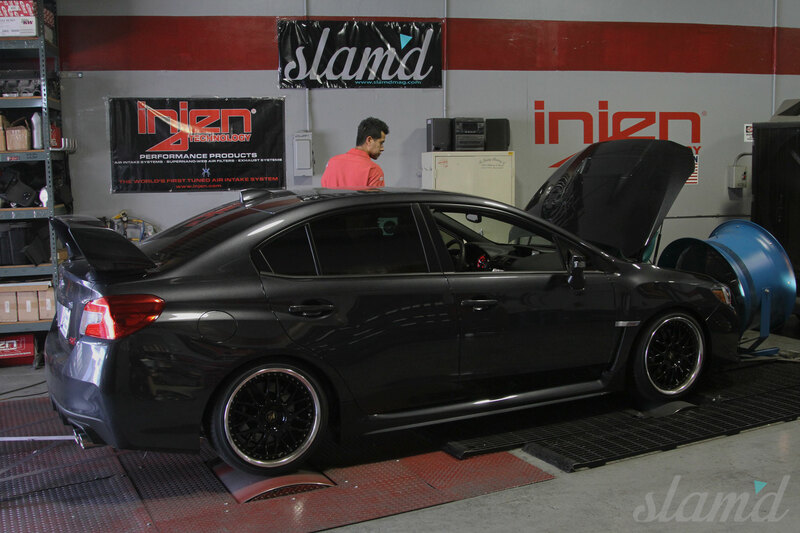 Even more invigorating of an experience, when those infamous three letters – STI – are glaring up from the base of the flat-bottomed steering wheel. 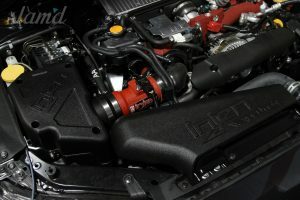 With its incredibly balanced 2.5-liter, turbo-charged boxer engine and arguably one of the best AWD systems on the market, the WRX STI has a history of putting rear-wheel-drive fan-boys in their place. 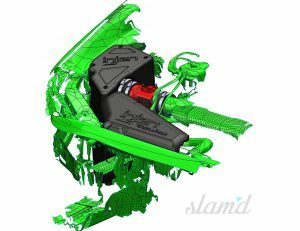 The STI has enough ponies to satisfy almost any enthusiast and all 305 of them chomping at the bit to break loose from any of the four wheels. 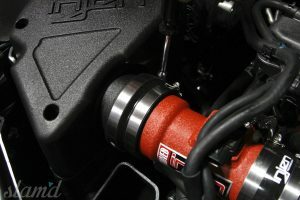 However, hiding under that aggressive hood is some serious untapped power and throttle response that the pros over at INJEN Technology have mastered with their all-new “Evolution Series” of intake systems. 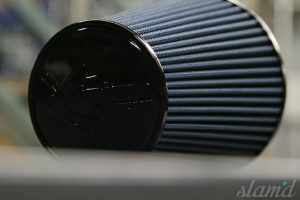 Precision engineering and craftsmanship have produced an intake system purpose-built to deliver impressive and consistent power gains, while operating with factory cleanliness, reliability, and construction. 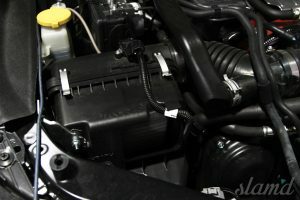 The unique, tuned air intake system will feed your engine a nutritious diet of denser, colder air. 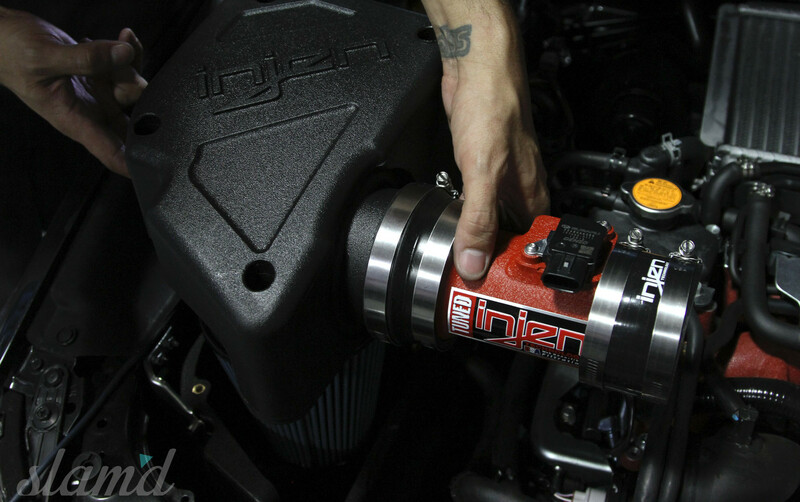 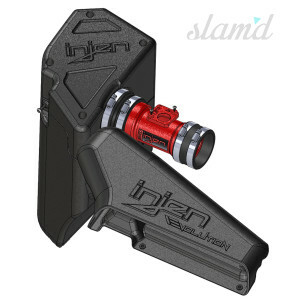 According to INJEN, the kit uses an intake scoop with a significantly larger volume as opposed to the factory scoop. 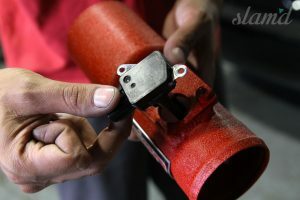 The kit’s air plenum houses an internal, molded air horn to smooth and condense incoming air, before reaching the MAF sensor. 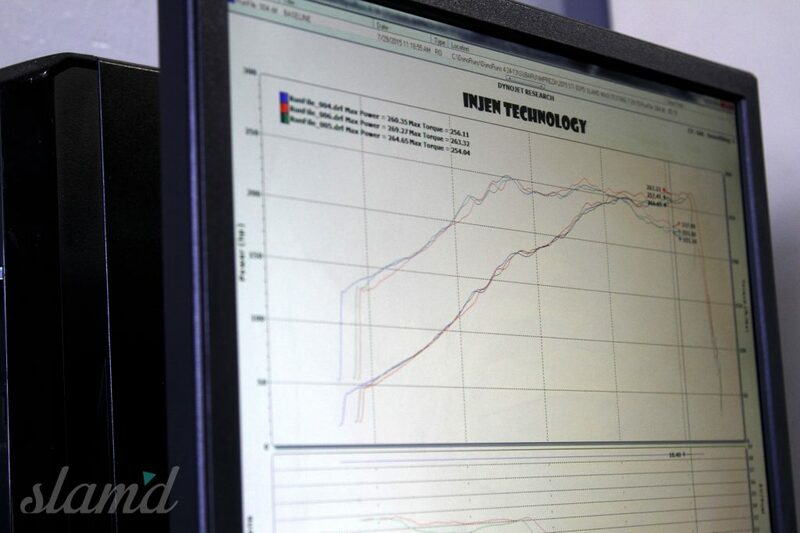 This optimizes the factory tune’s ability to produce boost. 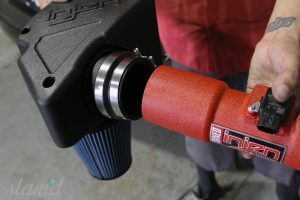 Boasting an increase in power output by dyno-tested 26 horses and 35.5 foot-pounds of torque, this intake offers an extremely effective modification with daily-driver reliability. 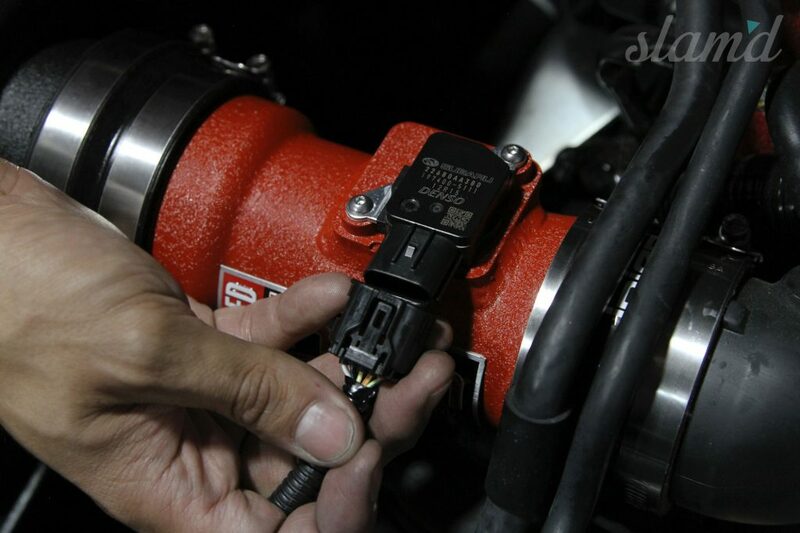 The EVO1206 system brings impressive power gains and seriously astounding improvement for mid-range throttle response. 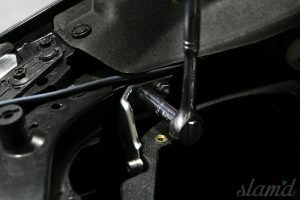 Every street performance enthusiast knows how key mid-range power is to a more enjoyable driving experience, and of course, less downshifts equals more fun. 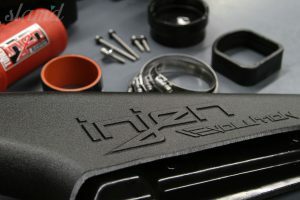 On top of these performance upgrades, users of the EVO1206 kit can expect increased MPG (thanks be to the turbo-gods) and a stupid grin on your face when you hear the infamously visceral intake note, produced by INJEN kits. 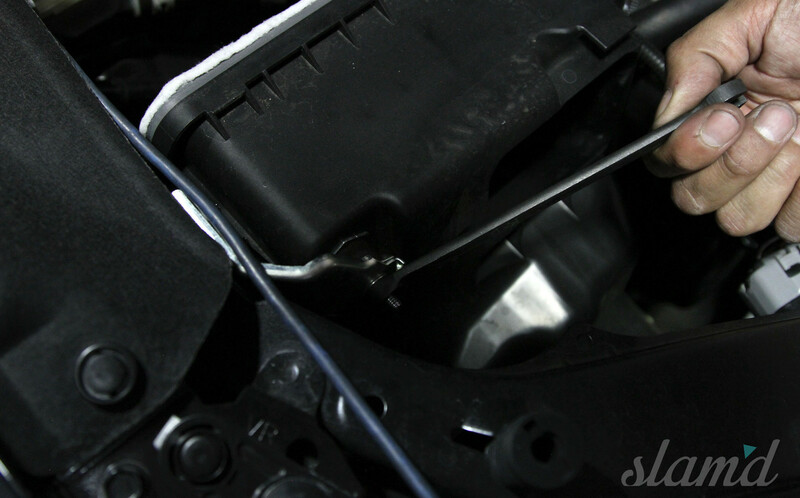 Step 2: Unfasten the rivets holding the factory intake scoop in place and remove the factory scoop. 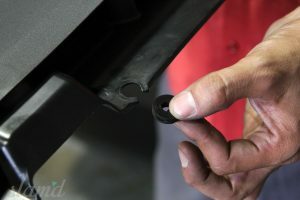 You will need to remove plastic grommets and rivets from factory intake scoop and save them to be used later in the installation process. 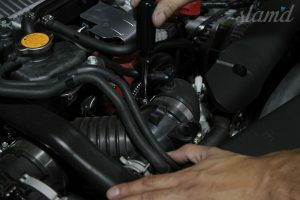 Step 3: Disconnect MAF sensor connector and harness from MAF sensor and loosen the hose clamps securing the factory intake duct and sound tube. 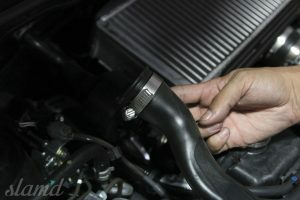 Step 4: Disconnect sound tube from valve and intake duct from turbo housing inlet. 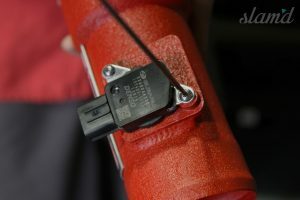 Cap the now open sound tube valve with provided rubber cap. 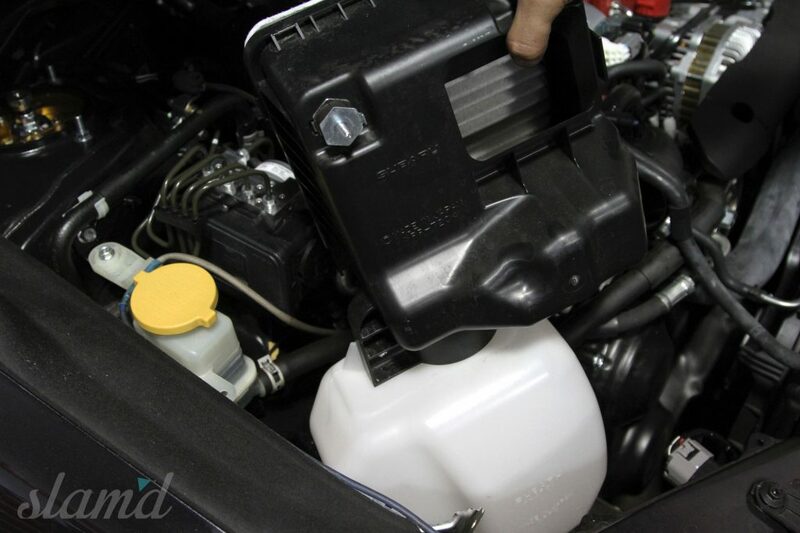 Next, locate the upper and lower brackets holding the factory air box in place. 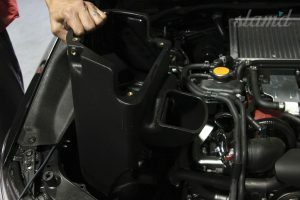 Step 5: Completely remove the upper bracket from the factory air box and vehicle by removing the 10mm nuts. 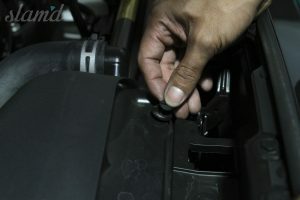 Then, disconnect the factory air box from the lower bracket by removing another 10mm bolt. 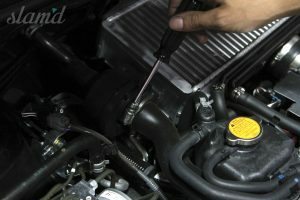 Step 7: Remove the MAF sensor from the factory intake system and secure to the INJEN intake tube using the provided M6 Screws. 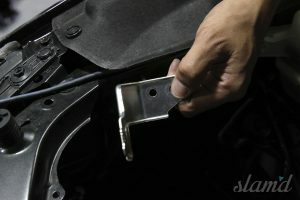 Step 8: Reattach the upper air box bracket using factory hardware. 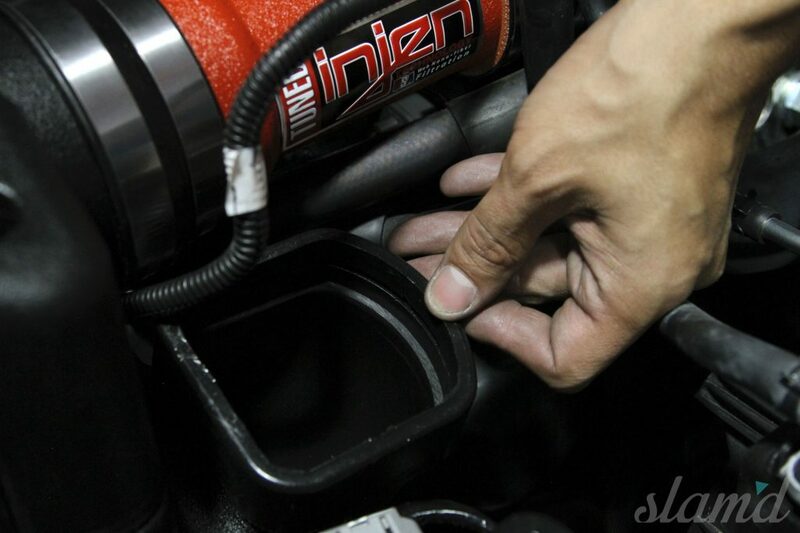 Place the lower half of INJEN intake box and align with the upper bracket and secure using 10mm bolt and nut. 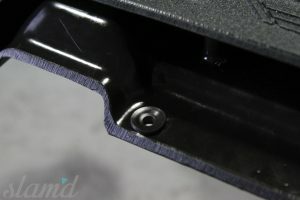 Attach to lower air box bracket using provided M6x35mm screw and washer. 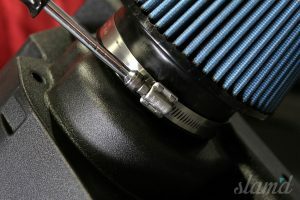 Step 9: Attach intake filter to upper air plenum and secure using 8mm hose clamp. 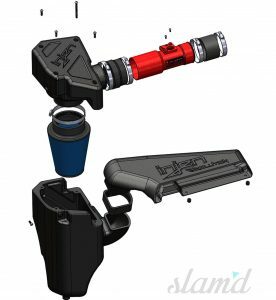 Attach step hose to upper plenum, secure hose clamp, then insert intake tube fully into air plenum and secure to step hose with hose clamp. 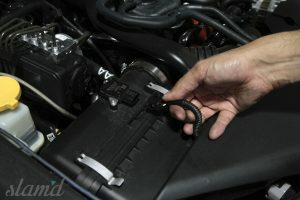 Next, attach the strait hose to open end of intake tube and secure hose clamp. 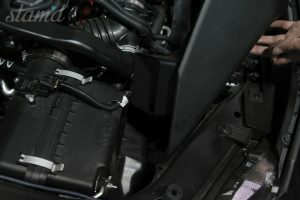 Step 10: Place upper air plenum into lower air box, secure back using provided M6x80mm screws and front with M6x20mm screws, using a Phillips head screwdriver. 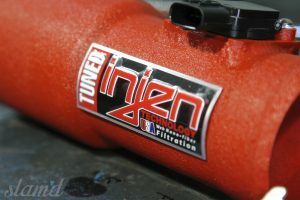 Secure the INJEN Intake tube to the turbo housing inlet using and provided hose clamp. 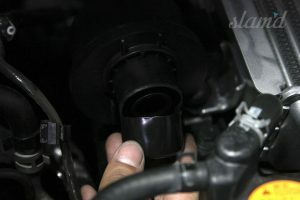 Step 11: Reconnect the MAF sensor connector and harness to MAF sensor and connect the SureLok hose to the air box. 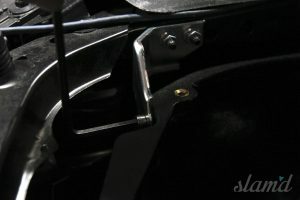 Step 12: Attach the intake scoop rivets and grommets to the new INJEN intake scoop, attach the INJEN scoop to SureLok hose, and secure the scoop in place using provided snap rivets. 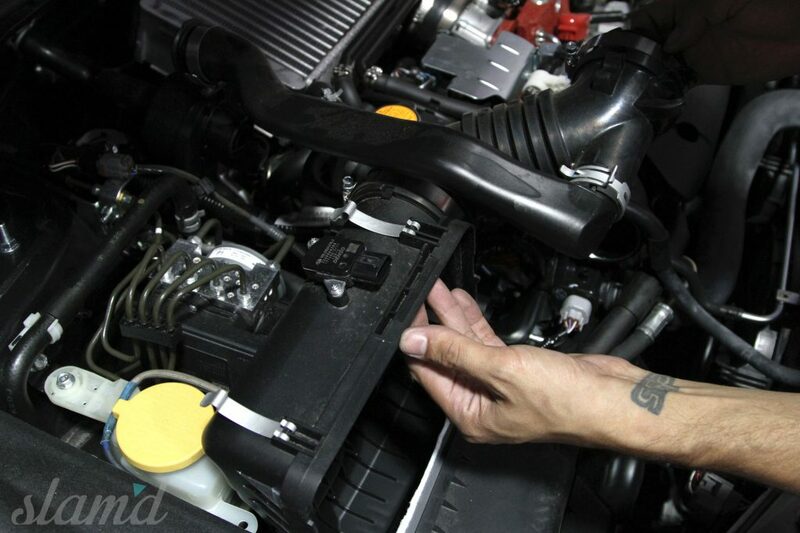 Step 13: Perform a final check of all components, hoses, and brackets to confirm their placement and security. 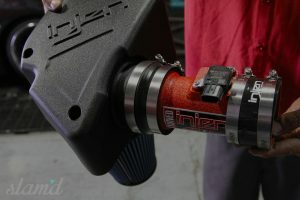 After a proper install owners can expect to see output boosted by around 26 horses and 35.5 foot-pounds of twist, for a total of 271awhp at ~5400prm and 275awtq at ~4600rpm; very impressive indeed! 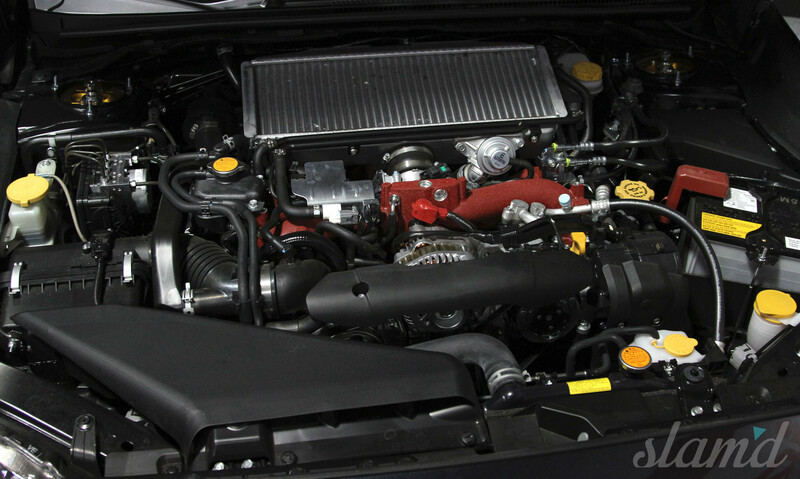 The 2015-2016 WRX STI, most definitely lives up to its legacy. 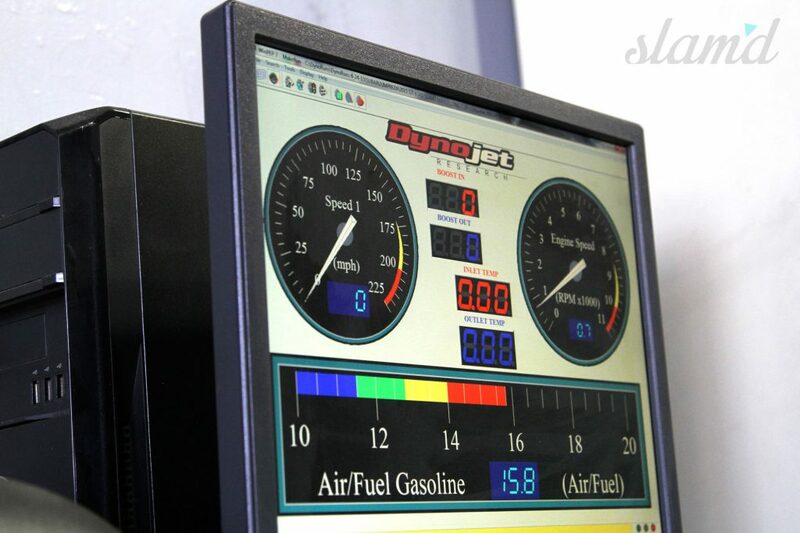 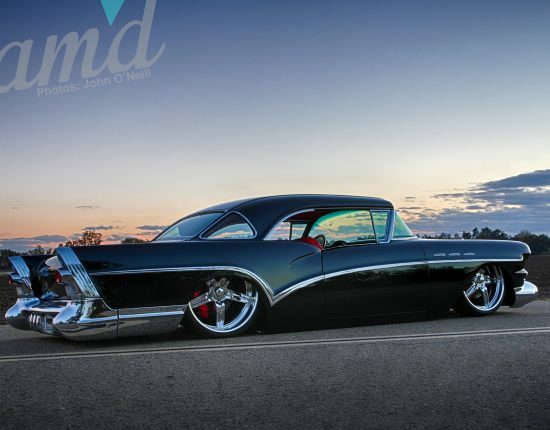 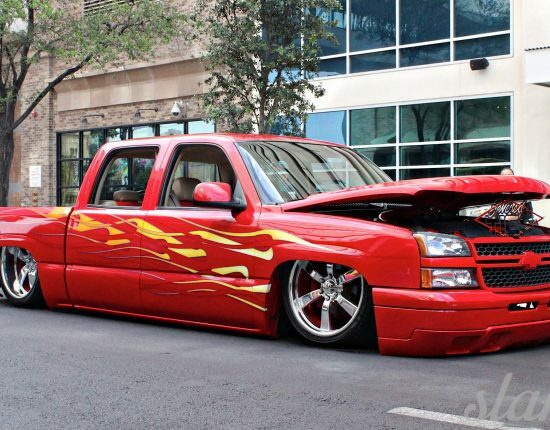 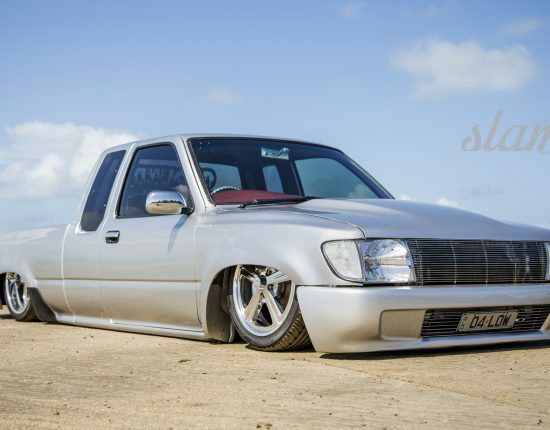 A thoroughbred performance vehicle that deserves aftermarket products of equal brilliance. 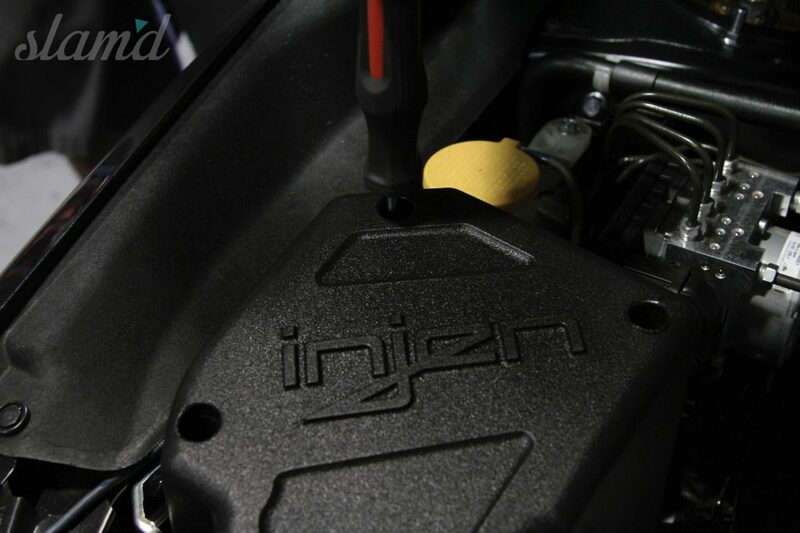 The INJEN EVO1206 brings just that, and more. 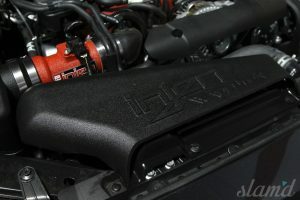 Considerably increased power output, increased throttle response and flow, MPG, and intake note intensity – all make for increased performance, refinement, and driving enjoyment. 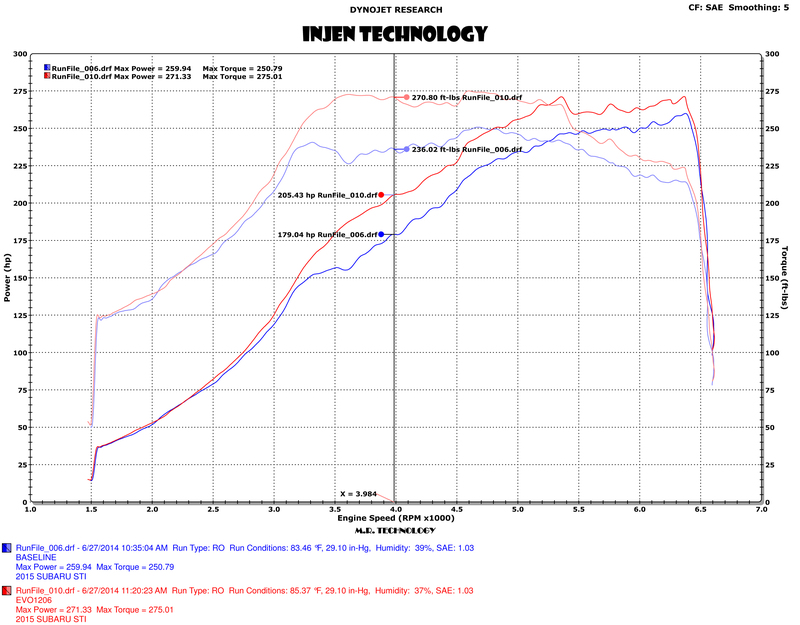 Our “after drive” proved quite a noticeable difference in throttle response, and man that intake note is on point! 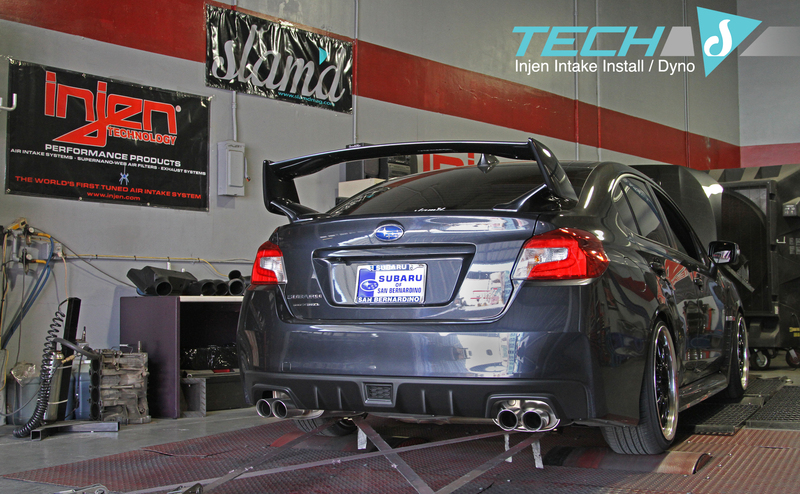 Stay tuned for more on this STI as continue to mod for both form and function.